The most striking difference between Othello and Shakespeare's other tragedies is its more intimate scale. Since the play focuses on personal rather than public life, Othello's private descent into jealous obsession is rendered all the more chilling to behold. 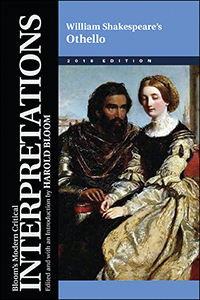 This invaluable literary reference guide to one of Shakespeare's greatest plays contains a selection of the finest contemporary criticism and an introductory essay by Shakespearean scholar Harold Bloom.